Due to increasing interest in the luxury travel market for around-the-world trips, American Express has teamed up with luxury tour provider Abercrombie & Kent to provide an ultra-luxe, 24-day worldwide itinerary by private jet to five continents and eight destinations. The price tag? A modest $97,970 per person. Los Angeles will be the starting point, where the private jet will begin its circle around the globe, making stops in desirable destinations such as Easter Island; Sydney, Australia; Jaipur, India; Dubai; Seville, Spain; until its final landing in New York City. Throughout the super-luxurious tour, travellers will enjoy the finest accommodations, gourmet dining, and top-notch on-board service from a 13-member crew, including a private chef and seven flight attendants. The trip is now available for booking and take-off is 20th January to 13th February 2009. With only 52 slots, this experience will surely beckon the most pampered of travellers. Fabulous trip to put on your Life List! 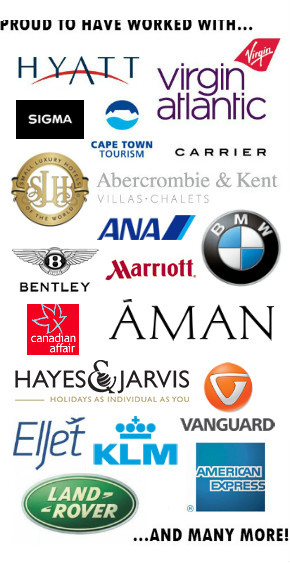 Two other companies that offer compelling Round-the-World private jet itineraries are http://www.starquestexpeditions.com/ and http://www.tcs-expeditions.com. These trips sell out more often than one might imagine, so advance planning—and booking—is recommended.